EPIC, the sustainable living expo, is just a couple of weeks away. Now in its fifth year, the expo has lined up an impressive list of exhibitors and guest speakers including George Stroumboulopoulos. We've arranged a sweet deal for you: Modo members with red fobs get in free and members with blue fobs get a great Modo rate when purchasing tickets online. Find out more here: www.modo.coop/epic. VEHICLE UPGRADES at Virginia Court, a 2009 red Toyota Yaris sedan, and at Yaletown/Roundhouse Station, a 2009 grey Mazda 3 sedan. VEHICLE UPGRADE at La Contessa, a 2010 red Dodge Grand Caravan minivan. VEHICLE UPGRADE at Manitoba + W 16th, a 2009 grey Toyota Yaris hatchback. The new car, like the old one, is allergy-free. LOCATION CLOSURE at China Creek North. If demand warrants a vehicle in this neighbourhood in the future, we will likely place it closer to VCC Clark SkyTrain Station. VEHICLE UPGRADE at Highbury, a 2010 orange Toyota Matrix hatchback. Looking for more locations? Go to www.modo.coop/find. 3. Email us at info(at)modo.coop. You should still note all damage on your Trip Log but notifying Modo via one of the above methods is the only way we'll know you've reported it before another member does. 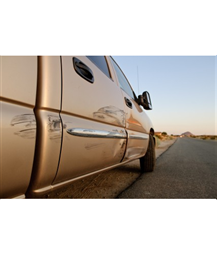 When we receive a damage report, someone from Modo will inspect the vehicle within 48 hours (unless the damage is urgent). Damage that is marked with a clear sticker (with a number noted on the sticker) means that particular area of damage has been reported, inspected, and will be attended to. No need to report stickered damage. 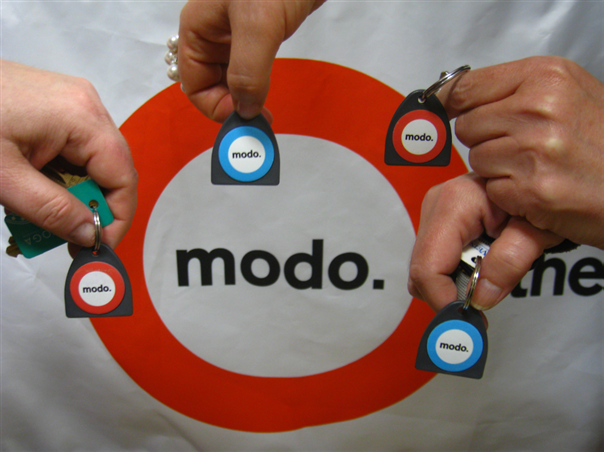 Modo has many friends among other transit-oriented carsharing organizations (CSOs) and we continue to work with them to establish roaming agreements for you. Modo members have access to roaming with at least eleven CSOs including, most recently, Ithaca Carshare in New York, eGo (carsharing in Denver and Boulder, Colorado) and GoGet (carsharing in Sydney, Melbourne, Adelaide and Brisbane, Australia). We also have informal agreements with AutoShare in Toronto, Vrtucar in Ottawa, and Communauto in Montréal. Find more roaming agreements here: www.modo.coop/roaming. You may have seen her on the road already. Katherine has provided interior cleaning and inspection services for Modo for some time now on a contract basis and we’re excited to announce that Katherine is now an employee – our Fleet Service Technician. Since working with us more, our members have told us they’ve noticed an improvement in the cleanliness of our cars. Thank you Katherine! 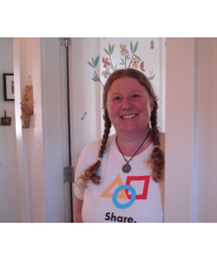 If you need to report a cleaning issue please contact us at cleaning(at)modo.coop. 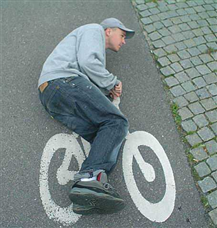 Here’s a smart tip to avoid maiming or killing cyclists: after parking a car, please get into the habit of opening the driver's door (on your left) with your right hand. This turns your body and trains you to look over your left shoulder for cyclists before opening the door – keeping cyclists safe from ‘dooring’. Last month we encouraged you to "show us your modo" and we're happy to announce that the photo contest winner is Robert with this submission Hola Modo! He even submitted high-resolution versions for us to use! Robert has won a limited edition "Share" t-shirt. Congratulations, Robert! You’ve received this newsletter because you’re a friend of Modo The Car Co-op. Want to send feedback about our newsletter? Email us at newsletter@modo.coop. Unsubscribe here.